Rest day on the schedule today....and I still need it! Boo. Actually, I'm in taper mode so no running until Sunday. Leg is feeling a little better today. This past weekend I was up north and on the way I stopped at the North Face outlet store. Sometimes you really need to look hard but you can find some deals. 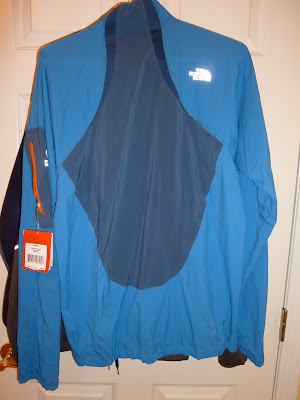 I was able to find a "Better than Naked" running jacket!!!! This this is really nice and also thin and will be great to wear this fall/winter. I even got 40% off the SALE price! These are originally $129 and I got mine for $61 out the door! This is the model without the hood(seen in their current ads) which I really did not want anyway. Here's the jacket I wore last year and the one I will again wear this year - better for much colder weather. This is the Northface Apex Climateblock Full Zip winter running jacket. $159 and worth every single penny. I would buy two if I could afford it. I don't know why I'm partial to Northface for running jackets since I don't own anything else made by them but the quality is excellent. Me last year after a winter run! 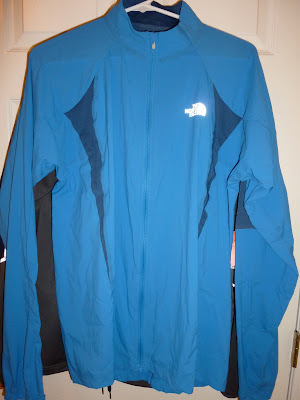 I'll give you a full review on the Better than Naked jacket in a few months after using it but it's incredible comfortable and very thin and will get lots of use. Question of the day? What do you run with in cold weather? Now if I'm running on Table Mountain in mid winter as the cold fronts are rolling in I do have a Capestorm Helium jacket with me, but it's in my pack. Where is the outlet? Birchrun? Nice jacket!! Maybe I should get one for my first winter runs this year! Good Luck on Sunday!! Reminded me that I need to start shopping for new winter running gear. Sweet jacket! I usually wear a thermal jacket and tights when I run in the winter. I really need to get some running gloves. Stop with the winter references! LOL, we'll be there soon enough. Coach Dion - I've thought of getting a buff! RR - gloves are a must.